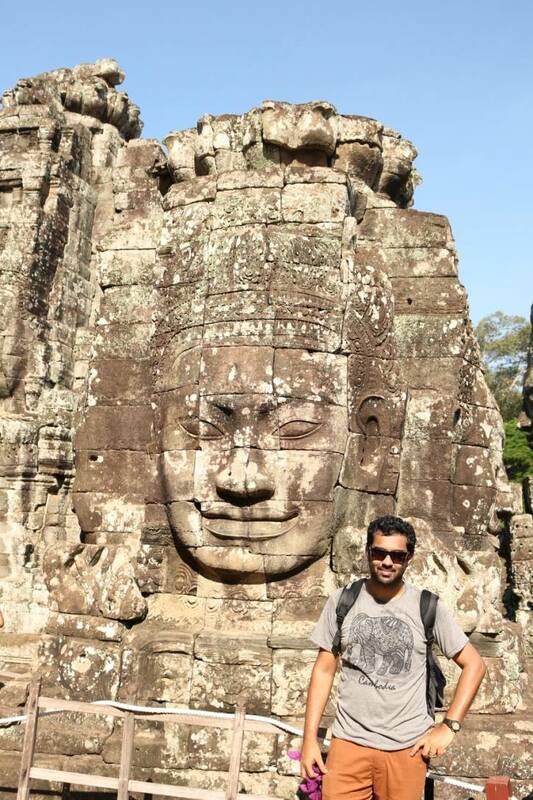 Saurabh and I reached Siem Reap after spending 3 days in Bangkok. 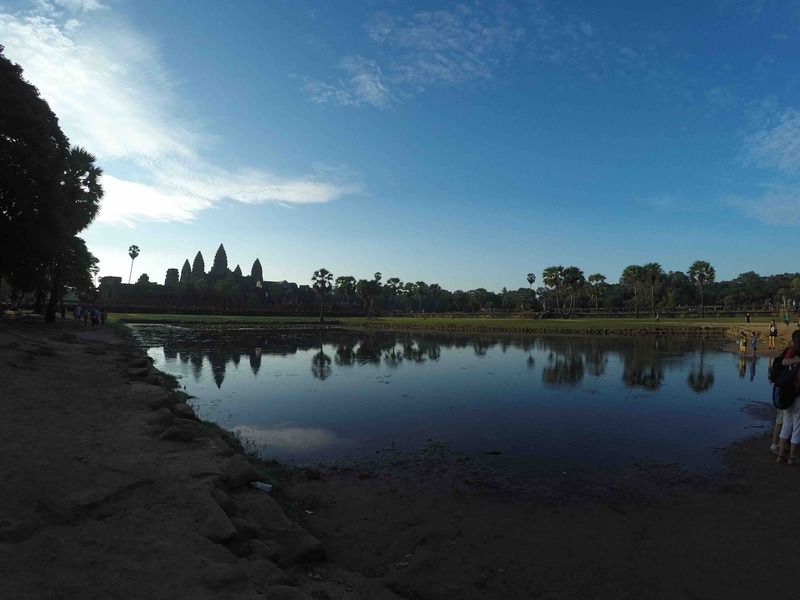 We had applied for e-visa before reaching Cambodia and that saved us time at the airport. From the airport, we took a car to our hostel Mad Monkey. You can also take a tuk-tuk, a 2-wheeler or a van. We had an early flight so we decided not to see any temples that day but instead to roam around in the nearby market. In the evening, we walked along the river markets and bought some light clothes for the next day. 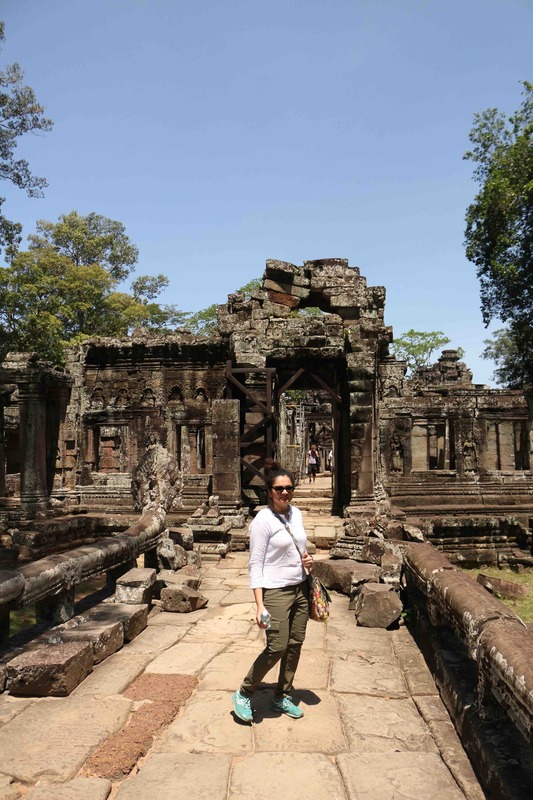 The weather in Siem Reap is hot and humid in July and it did not rain much during our stay. 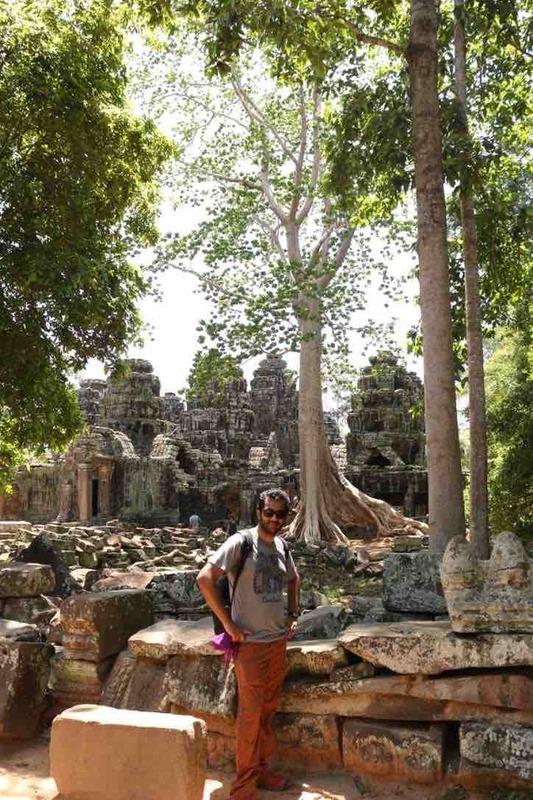 The next day, we visited 4 places in the Angkor Archaeological Park: Angkor Wat, Bayon, Ta Prohm, and Banteay Kdey. There are many tours available based on the number of days you want to spend in the park. Passes are available at the entrance gate and there were 3 options available based on the time you want to spend – 1-day pass, 3-day pass, and a 7-day pass. We decided to take a 3-day pass, as we wanted to each place at our convenience. We woke up at 4.30 am and left our hostel at 5 am via a Tuk-tuk that our hostel had arranged. 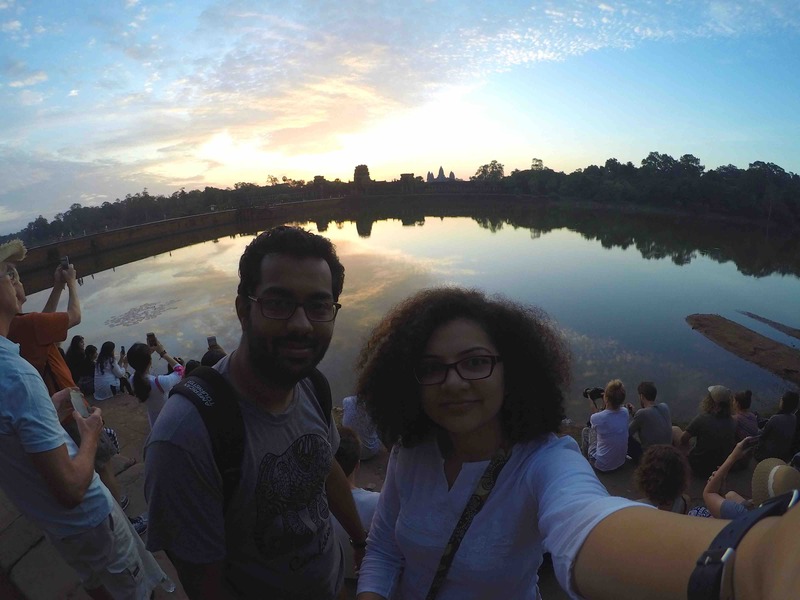 After buying the passes, we passed a lush green forest and reached our first stop – Angkor Wat. 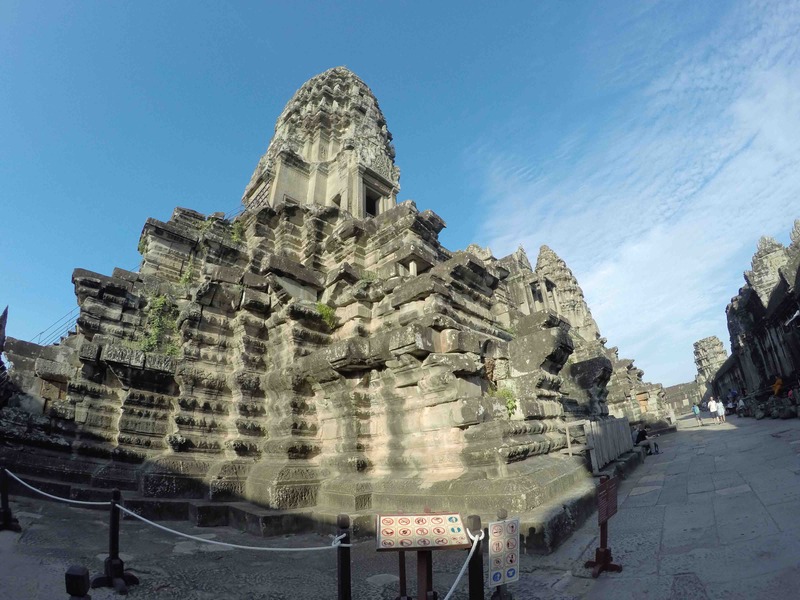 Angkor Wat is a UNESCO world heritage site and a religious monument that was originally built as a Hindu temple for the Khmer Empire. It was later transformed into a Buddhist temple. 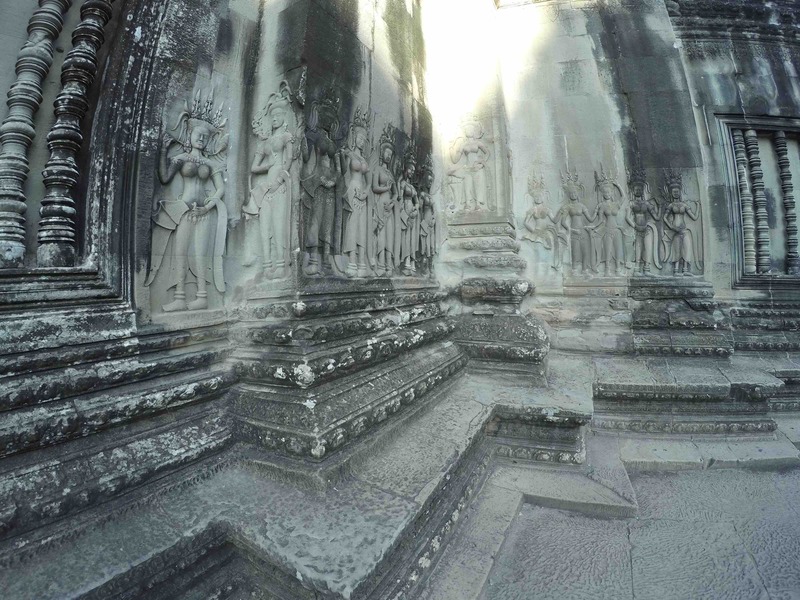 It dates to early 12th century and is one of the world’s largest religious monument. 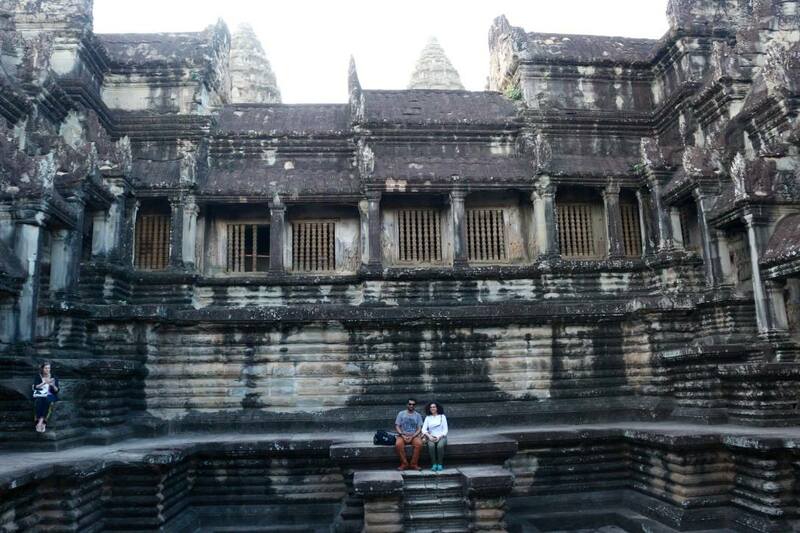 We waited outside the Angkor Wat entrance to watch the sun rise over the pillars of the temple. It was a very beautiful sight. 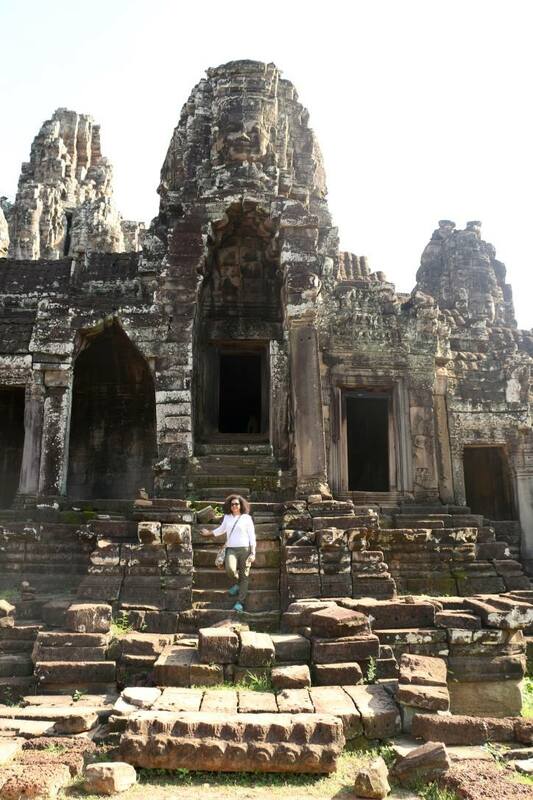 After Angkor Wat, we went to see Bayon temple. 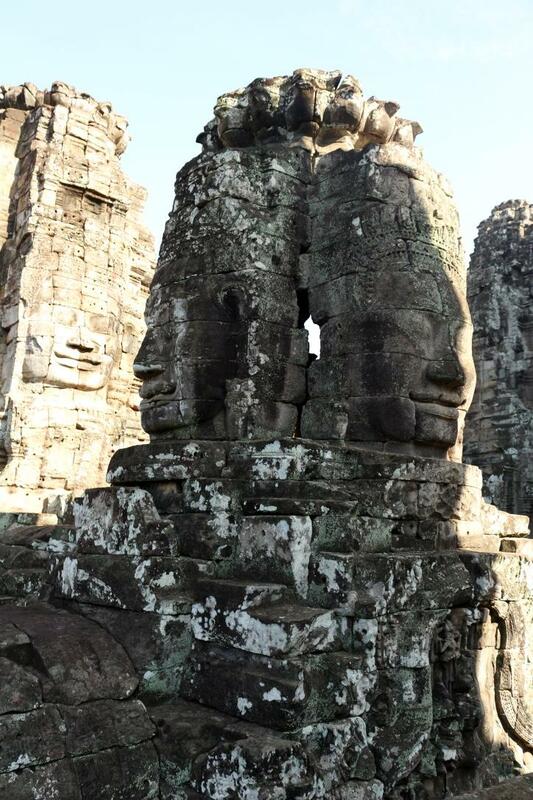 Bayon is another Khmer temple in the park that has 216 massive stone faces. 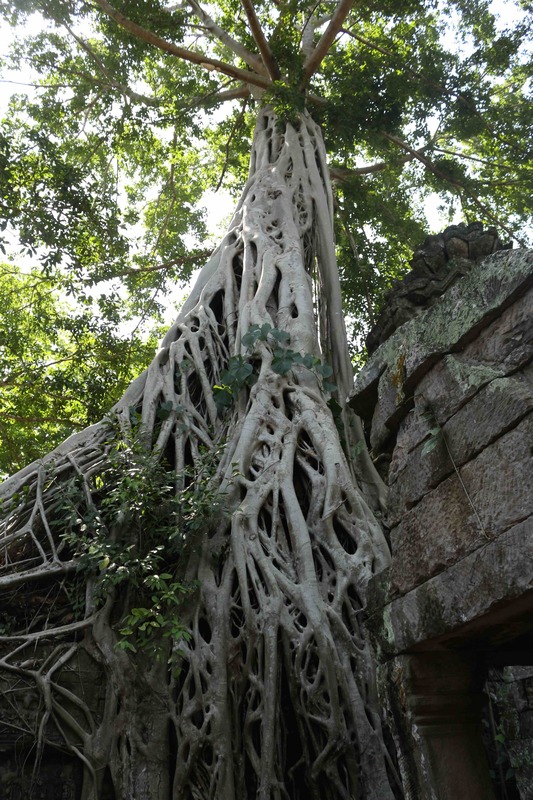 After Bagon we decided to visit Ta Prohm. Ta Prohm is another Bayon style temple located around 1 kilometer from Angkor Thom which was also built by Khmer king Javavarman VII. 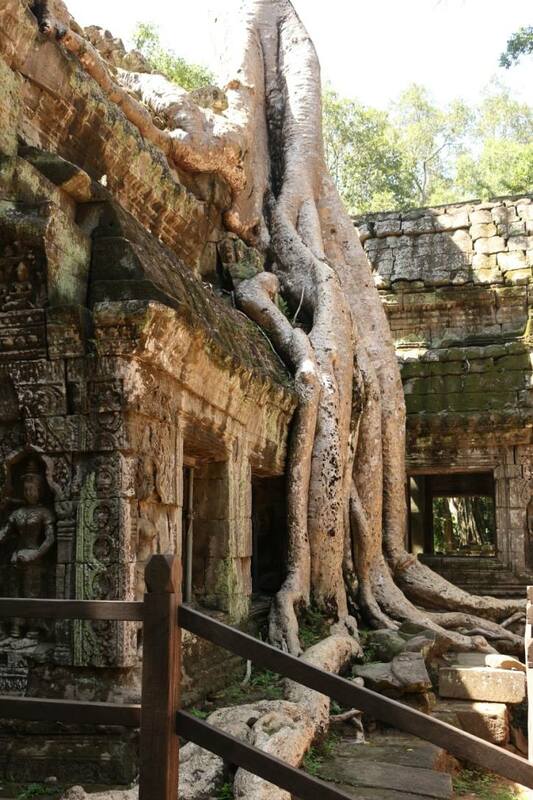 This temple is famous for its huge trees whose roots are growing out of the ruins. 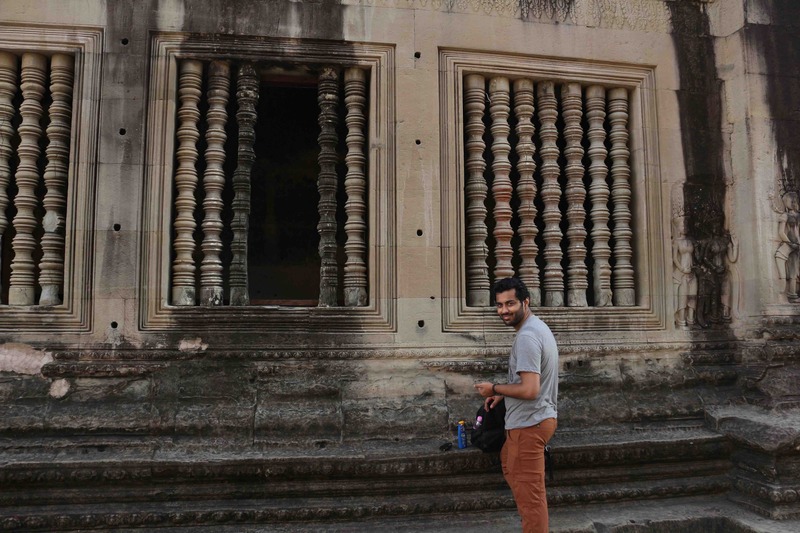 When we visited this place was going through major restoration by the Archaeological Survey of India. This temple also very popular among tourists because of the movie Tomb Raider which was shot here. 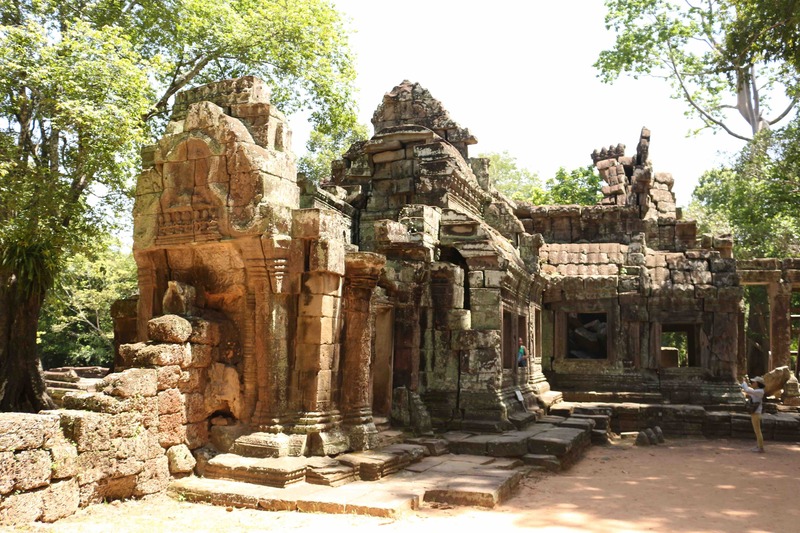 Banteay Kdey meaning 'Citadel of Chambers' is a Buddhist temple in Angkor. 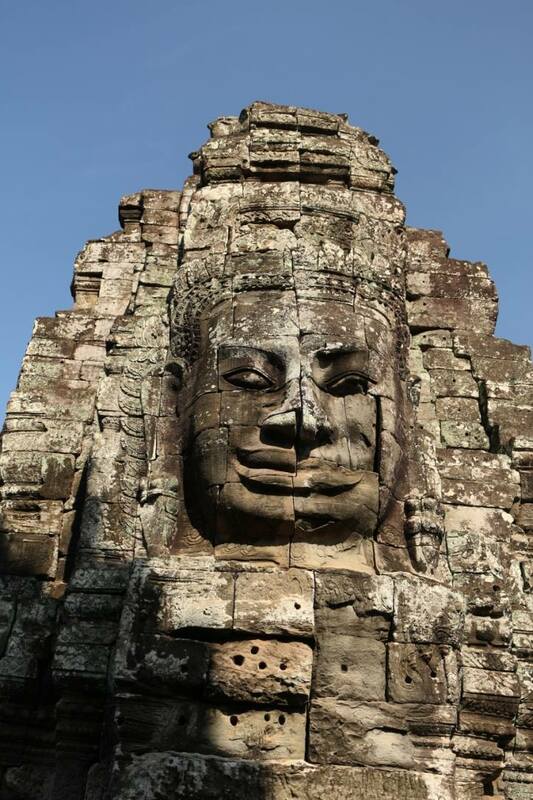 This temple is also in Bayon architectural style but is much smaller and complex than other temples. By the time we were done with Banteay Kdey it was late in the afternoon and we got very tired due to scorching heat from the sun. We had a nice cambodian style lunch near temple and head back to our hostel in our tuk tuk. July was extremely hot in Cambodia and next couple of days we just spend visiting local markets in an around town before taking our bus to Phnom Penh. 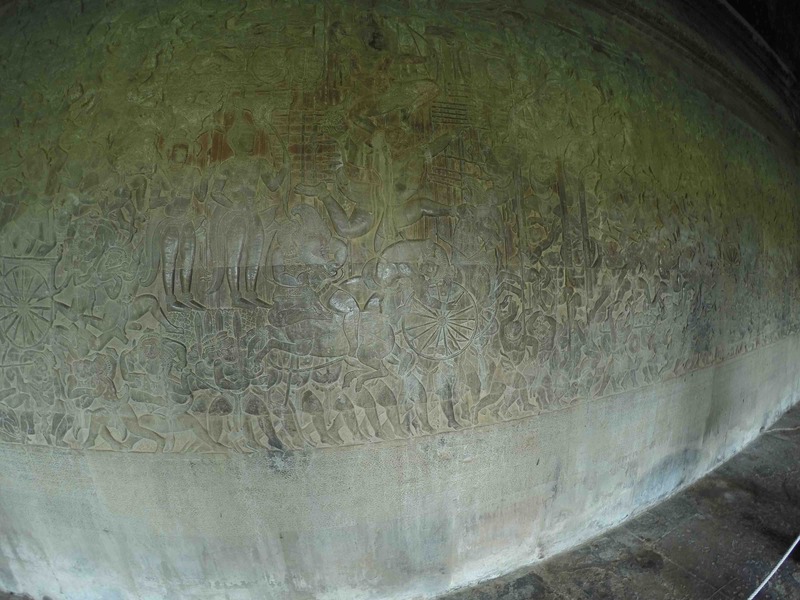 Will write more about our experiences of Phnom Penh in another blog.